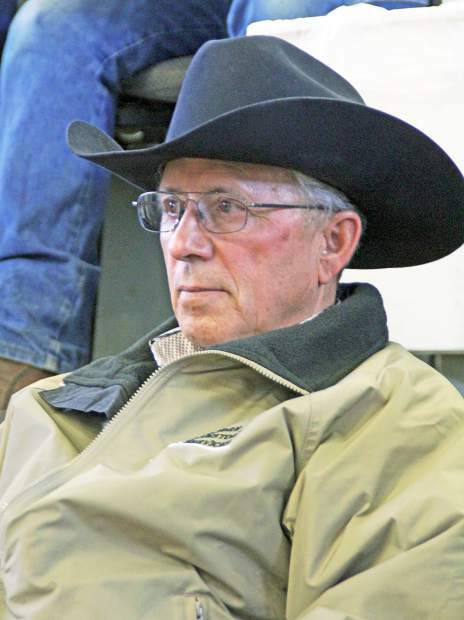 Minnow Ranch, Olive, Mont., purchased several Doll Ranch bulls. 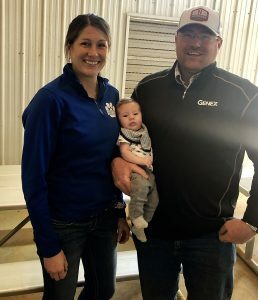 Brothers Charles, Harlan, and David Doll, along with their families hosted the 35th Annual Doll Ranch Charolais and Simmental Production sale at Kist Livestock, Mandan, North Dakota, on Mar. 3. 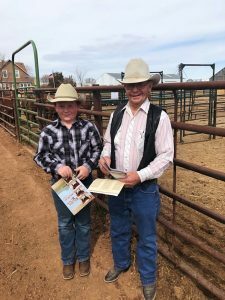 Its not too often that you see these two breeds selling in the same sale, let alone coming from the same ranch, but Doll Ranch has the Simmental and Charolais breeds complimenting each other extremely well. Topping the Charolais bulls was lot 31, DCR MR Magic Tuff B163, a Mar. 2014 son of SCR Tuffy 0119. 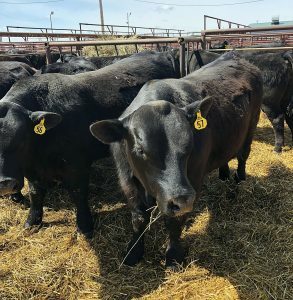 This thick made bull combines performance and calving ease in a very eye-appealing package. He had a weaning weight of 845 pounds, yearling weight of 1,607 pounds and epds of BW 0.4 WW 40 YW 76 Milk 9. Wade Bennett, Archer, Nebraska, was the buyer at $23,000. Selling at $20,000 was lot 42, DCR Mr. Sure Tuff B247 another Mar. 2014 son of SCR Tuffy 0119 that also has tremendous thickness, performance and calving ease with a weaning weight of 875 pounds, yearling weight of 1,509 pounds and epds of BW -0.5 WW 38 YW 70 Milk 10. 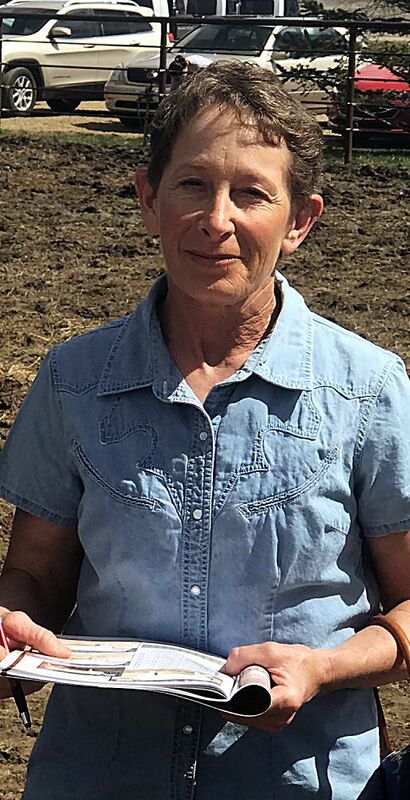 Vedvei Charolais, Lake Preston, South Dakota, was the buyer. 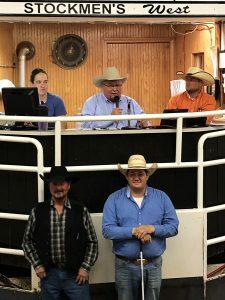 Three Charolais bulls sold at $16,000 each. Lot 12, DCR Mr. Sir Tuffy B50 is a Feb. 2014 son of SCR Tuffy 0119 that had a weaning weight of 885 pounds, yearling weight of 1,549 pounds, and sold to Floyd Cleveland, Sisseton, South Dakota. Lot 46, DCR Mr. Buckingham B262, a Mar. 2014 son of LT Ledger 0332 with epds of BW -0.6 WW 30 YW 61 Milk 14 sold to D & W Livestock, Newcastle, Wyoming. Lot 64, DCR Mr. Blue Turbo B339, a Mar. 2014 son of LT Blue Value 7903 has epds of BW -0.4 WW 43 YW 69 Milk 4 sold to Tom and Loretta Anderson, Malta, Montana. Topping the Simmental bulls was lot 143, DCR Mr. Boozer B369, a red, polled, purebred Mar. 2014 bull sired by DCR Mr. Moon Shine X102. This powerful bull is sure to add pounds to his calf crop with a 930 pounds weaning weight, 1,564 pounds yearling weight and epds of BW 3.2 WW 82.9 YW 121.5 Milk 19.3. Cole Fettig, Tappen, North Dakota was the buyer at $13,000. Selling at $11,500 was lot 160, DCR Mr. Briggston B506, an Apr. 2014 son of WFL Mr. Westway 50X that had a 205 day weight of 887 pounds, 365 day weight of 1,716 pounds, and epds of BW 3.3 WW 88.8 YW 142.1 Milk 12.9. Olafson Bros. Simmental, Edinburg, North Dakota was the buyer at $11,500.